The clarion cry of the novice cheese lover. We all know this well. Even cheesemongers with their vast knowledge of cheese were once newbies adrift on the cultured dairy sea, discovering the delights of the open water and navigating the treacherous waves of newness. We love novice cheese lovers. Let me say that again. We LOVE the novice cheese lover. For the innocent palate, everything is a taste sensation. Everything is bursting, new, uncharted, and unformed without words to cloud the experience. Each experience is a discovery. The novice cheese lover knows instinctively what he or she likes and dislikes. This is especially true on the physiological level. Researcher Valerie Curtis, Director of the Hygiene Center at the London School of Hygiene and Tropical Health, suggests that our tastes derive from ancient forms of adaptation that draw us toward heath and away from disease. Physiologically, cheese is a really complicated substance for humans because it pulls on competing interests in our brains and bodies. Cheese is made up of microbes, many of which produce for humans a revulsion instinct. Any revulsion toward these cheesy microbes gets contradicted in taste and smell by humans’ hunger drive, which compels us toward sugary foods. Cheese, in its youngest stages, contains lactose, a form of sugar, which turns into lactic acid as it ages. The longer the cheese ages, the less lactose the cheese has; however, as some cheese ages, it develops, regardless of lactose, a sweet, pleasant flavor, sometimes akin to candy. Cheeses of this type especially are Gouda, Comte, and Gruyere whose cultures and cheese making methods bring out the flavor of burnt caramel. Novice cheese lovers experience this dance of competing instincts in one small bite of cheese. Cheesemongers find this delight both incredibly refreshing and fascinating at the same time. If biology weren’t enough, cheese affects humans on a psychological level as well. As our tastes develop and we try more and different kinds of cheese, humans can intellectually question the disgust instinct to understand the difference between what is really spoiled and what reminds them of spoilage. Psychologist and researcher David Pizzaro reveals that disgust is a hidden emotion that drives most human behavior. What we see, smell, taste and touch can have a dramatic impact on how we feel and perceive others. Disgust can lead to judgment, and as Pizzaro has discovered, oftentimes a stringently conservative attitude. 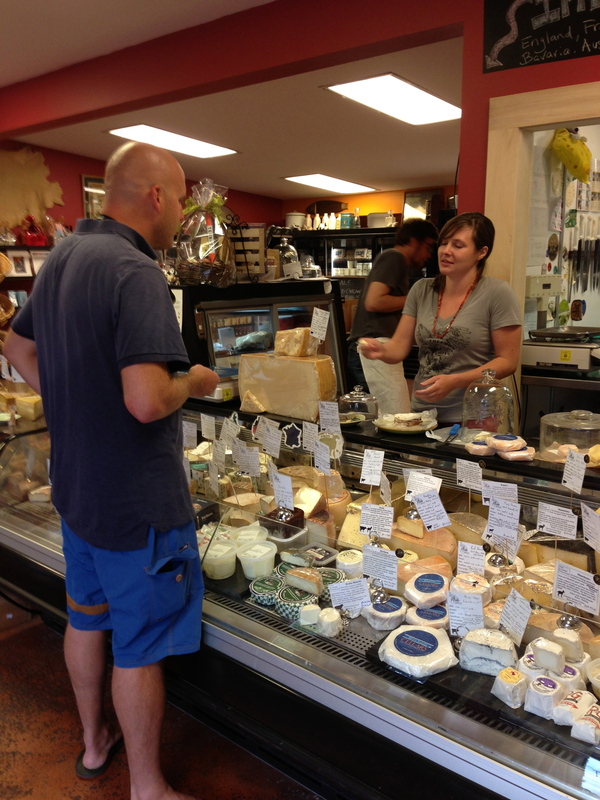 A novice cheese lover might attribute the “disgusting” flavor of a cheese that he or she does not like to the overall experience of being in a cheese shop. That’s okay! It’s merely part of the process of parsing out what you like and those cheeses that are going to give you that lingering feeling of pleasure – after all, cheese contains copious amounts of the chemical opiate phenylethylamine (PEA), which stimulates the production and release of endorphins and serotonin in the brain. Suffice it to say, cheese is an incredibly complex and addictive substance for humans! In time, the novice might discover that her judgment that “all blue cheese is disgusting” is really her association of blue cheese with a bad experience from long ago. Do I like it or not? It’s an all-guts, no-brain call. And if I do, why? This is where the intellectual and emotional work comes in. Why is one cheese better than another? Is it because it is a perfect example of how that particular cheese is supposed to be made? Or does it appeal on some other level? Does the creaminess and funk change how you feel? Does it remind you of mushrooms? Does it bring up memories of the first perfectly grilled cheddar cheese sandwich you ever had? And can you separate the appeal of memory from the actual quality of the food? 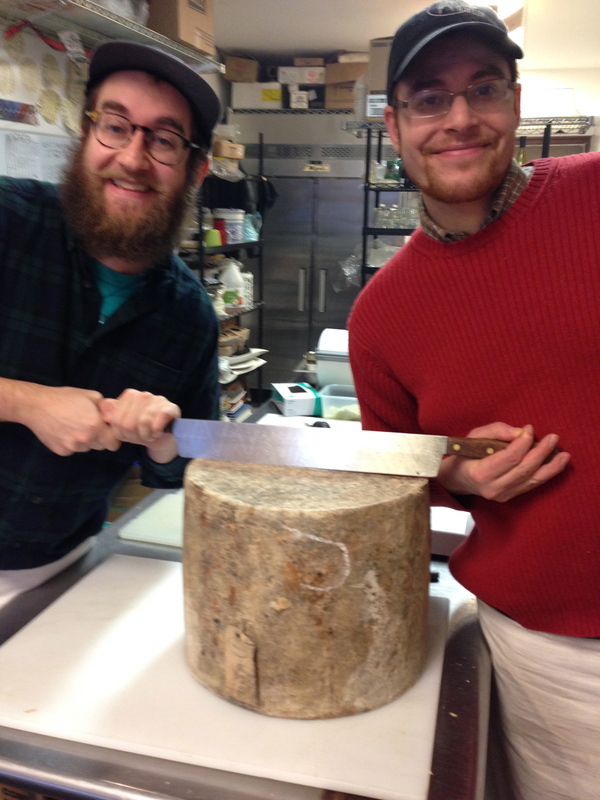 We at The Cheese Traveler offer this bit of advice to any novice: trust your instincts! Don’t worry about being too polite. A cheesemongers’ feelings won’t be hurt by a simple, “No, that’s not for me.” Ask questions and let your cheesemonger know your tastes. Cheesemongers are here for you. They enjoy helping you in your taste discoveries and in providing you with the best possible experience in the process. George, Alison. “The Yuck Factor: The surprising power of disgust.” New Scientist. Issue 2873 (20 July 2012). This entry was posted in Cheese and Culture, Science and Cheese by The Cheese Traveler. Bookmark the permalink.